Taking the complex world and making it simple for the mindful millennial looking for success. Welcome to the Simple Minded Millennial Podcast, hosted by Erik and Steph. They are two mid-twenties millennial that couldn’t be more different. Even though they are the same age, they are in completely different tax brackets, careers, and states. Erik lives in Minneapolis, MN, and enjoys playing basketball, playing golf, biking, hanging out with his family, and reading. He is a side-hustler extraordinaire with a blog and business, has his Master’s in Financial Math, and has grown his income to over six-figures. He did all this before turning 30! Steph lives in Nashville, TN, and enjoys bar hopping, blowing her money on music festivals, and lots of coffee. She barely survived getting her bachelor’s, struggles to work one job, and her salary has never exceeded $44,000. After college, she was left with a mountain of student loan debt, a low salary, and no idea how to manage her life or finances. Despite being polar opposites, Erik and Steph both love personal-development, bettering themselves, advancing their careers, and everything in between. Their goals are the same: becoming a better version of themselves, but are taking completely different paths. 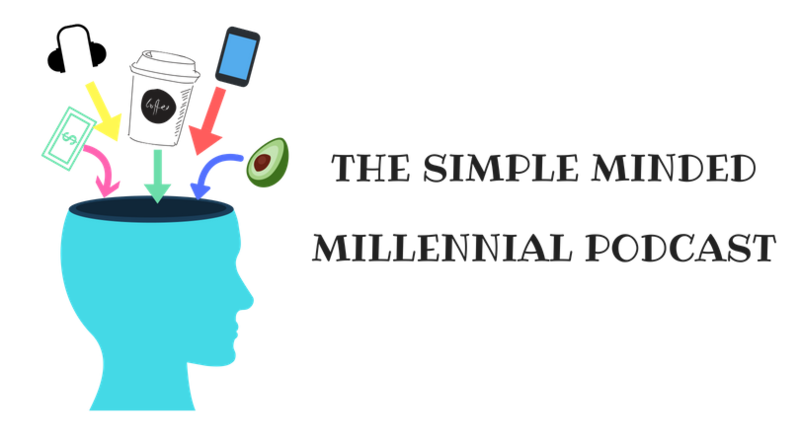 The Simple Minded Millennial Podcast provides millennials with actionable, attainable advice to advance their careers, finances, and life. Whether you’re saving your first $100 dollars or amassing your first $100,000. Whether you’re entering the workforce for the first time, or an established professional. Or whether you’re a go-getter or a go with the flow type, this Podcast is packed with valuable tips for self-improvement. No matter your career, education, or income, you can unlock your full potential and become the best version of yourself. The Simple Minded Millennial Podcast will show you how!